Buying a property in Portugal is exciting, whether you plan to live there permanently or visit often for holidays. We can help you every step of the way, so you can settle in properly and make the most of living in Portugal. We can help you consider all the practical information to help you settle into your new life, such as moving your belongings and locating the nearest medical facilities. As important to enjoying life in Portugal are the lifestyle activities, like learning the language, meeting new people and seeking out hobbies, which will go some way to make you feel at home. 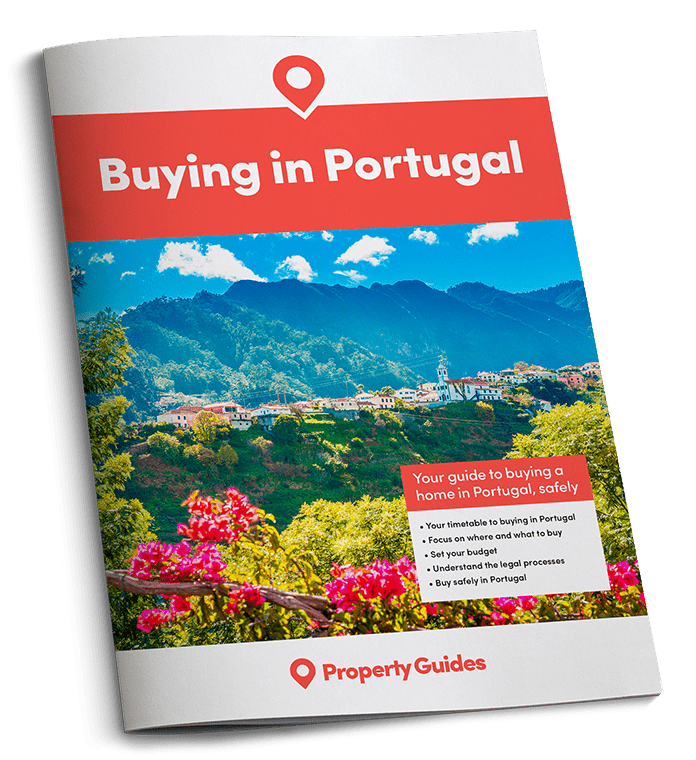 The Portugal Property Guide is here to help. Through our team of experts and expats on the ground in Portugal, we have been able to pull together all the information you need to help you settle into your new life in Portugal. Portugal has a health service that is fairly similar to the UK’s National Health Service – the main difference is that the system is not completely free, and you will need to pay nominal fees for the services you receive. Of course ensuring your health is protected is one of the most important aspects of your life, so it’s important to assess what coverage you can receive upon arrival. We also recommend considering health insurance – and budgeting a cost for this. If you need to travel around Portugal, it’s a good idea to assess the best ways to do so. Portugal has a good infrastructure for transport connections, enabling travel around the country with ease. Despite this, the country is relatively isolated from the rest of Europe, with few connections between Portugal and the rest of the continent. If you are moving to Portugal with children of school age, you will need to make sure you investigate the education system and evaluate what is available to them. Education here is compulsory from the ages of six to 18, with the majority of pupils attending tuition-free State schools – taught exclusively in Portuguese. Settling into your new life in Portugal will be much easier if you have some basic knowledge of the Portuguese language. This enables you to communicate and integrate yourself with your new neighbours, shop assistants, contractors and others immediately, which can help stave off the homesickness you will inevitably suffer from at some point. Your neighbours will also appreciate your efforts to learn the language, and be more inclined to help you as you begin to explain your needs. When you are living in Portugal, it is incredibly important that you spend some time getting to grips with the legal system and how it differs to your home country. Portuguese can be a very bureaucratic country, meaning one of the first things you should get used to is the fact that there is a specific process for everything. As soon as you know you are moving to Portugal, you will need to assess the best way to move your belongings to your new home. There are a number of options you can choose from here – using a removals company, hiring a ‘man with a van’, or doing it yourself. This will obviously depend on how much you have to move, and how much you wish to spend. Moving to a whole new country can be a very stressful experience, and it may take time for you to feel at home in your new home – even after you have unpacked your goods and started getting know your new surroundings and culture. We have spoken to our team of expats who have already made the move about the best ways to help you settle into your new life in Portugal. As you settle into your new home, knowing the best local tradespeople will always be important to ensure you can make any appropriate changes or repairs. Find recommendations from other expats, look at local noticeboards and ask around in the local area to find people who are tried and trusted by others. If you are planning to work in Portugal, you need to spend some time considering your options – especially in terms of income and expenditure. For example, UK residents have no restrictions on working or even setting up their own company, but they will need to ensure they comply with the relevant legislation and tax requirements. Find out what applies to your situation and circumstances. Homesickness when you have moved to another country is almost unavoidable (no matter how happy and excited you are about your life in Portugal), and most people will experience it at some point during their time abroad. It’s important to accept this, but it’s also a good idea to find ways to minimise these feelings by integrating into your new community in Portugal. Connecting your home to your essential services, such as Internet, electricity, gas and water, will be one of the first things you need to do upon arrival in Portugal and will enable you to settle quickly into your new home. Your pet will often be a big part of your family, and the idea of moving abroad without them is unbearable. Luckily, the Pet Travel Scheme makes it much easier than it used to be to move your pet from the UK to Portugal – although needless to say this will generally come at a high price! The culture and customs of Portugal are known across the world – and it’s important to make sure you have brushed up on this before you move. While many western European countries can seem outwardly similar, it’s always important to remember that each country will have their own quirks – and Portugal is no different. Food and drink is a big part of the Portuguese culture, and something this it is very important to understand when living there. Portuguese cuisine is based around seafood and pork and is a by and large a Mediterranean diet – although with influences from the East Indies, the Far East and Africa. Sports are popular pastimes in Portugal, and football is a national obsession – perhaps even more so than in the UK. With the Portuguese climate, spending time outdoors is a big part of the country’s culture – offering many opportunities for sports and leisure for the population. Shopping is a very popular activity in Portugal, as it is throughout the western world. One main difference that you may not be used to, however, is the traditionalism. Many locals do their purchasing at the market, and town centres will often have a butcher, a baker, a florist, a grocer and several places offering regional crafts and delights.